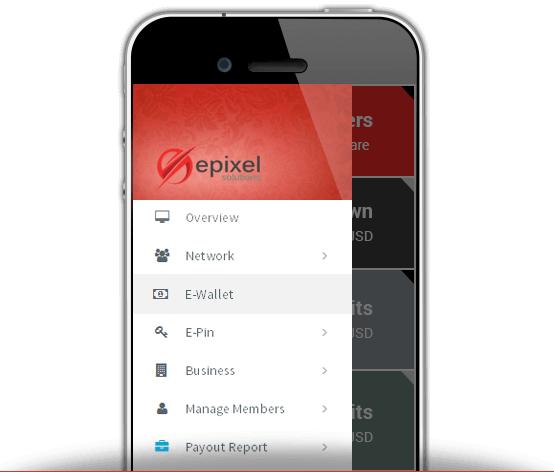 Epixel is a cloud-based, multi-level marketing (MLM) software solution that delivers enterprise-level, direct selling assistance for campaigns. The customizable and user-friendly software is intuitive to the needs of a direct selling business with multi-level commissions. Epixel offers four plans that users can build onto: binary, matrix, unilevel, and board. Each plan’s features and compensation rules can be customized to meet the company’s business strategy. TheEpixel software is continuously tested and improved to work as a solution in all real-time environments. All the latest trends are implemented to achieve higher user experience. To ensure all the security measures and performance benchmark, the software undergoes periodic vulnerability testing and tolerance testing in the standard real-time environment. The direct selling software is built to withstand business environments and meet client expectations. Epixel Solutions offers businesses capabilities that play a role in meeting the changing requirements of a network marketing business. Its network marketing software incorporates nine key attributes into any business processes, making a point of strengthening the software model by integrating business intelligence and technologies that can yield desired outcomes. Features include user-friendly dashboard, multiple genealogy presentations, income and expense tracker, e-walls, multiple withdrawal and payout options, multi-lingual and multi-currency support. The customizable software offers users the ability to include SMS integration, bulk emailing, scheduled tasks, internal communications, ad-banners, recurring payment, and more. Still not sure Epixel is right for you? Use our Product Selection Tool to compare other MLM solutions. Have questions? Call one of our unbiased Technology Advisors for a free consultation. Learn everything you need to know about Epixel. Our experts will reach out to you shortly.